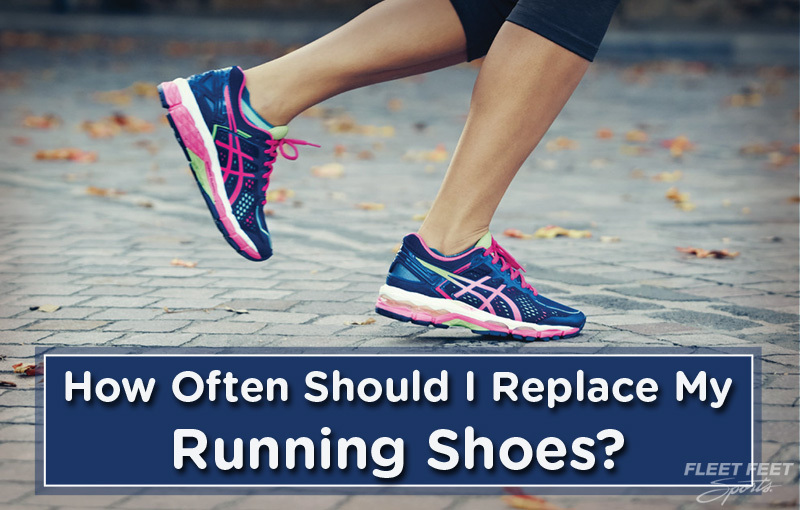 Home › News › How Often Should I Replace My Running Shoes? Whether you’re a brand new runner or a seasoned veteran, knowing when it’s time to replace your running shoes can be tricky. Luckily, there are more than a few ways to know when it’s time to upgrade your old favorite pair. The easiest way to know when to replace your shoes is to count their mileage. Most running shoes are built to last 300-500 miles, and the price tag will often determine a shoe’s longevity. Typically, higher priced running shoes are made from more durable materials and will last up to 500 miles. Whereas lower priced shoes will last closer to 300 miles. When training for a big race, like a half or full marathon, it’s pretty easy to keep track of your shoe’s mileage. If you’re training is more sporadic, just multiply your average weekly miles by the number of weeks you’ve had the shoes for your shoe’s total mileage. Do you wear your shoes for commuting? To gym classes? Sometimes it’s hard to gauge mileage when taking a non-running gym class. Measure up your calories. A runner burns about 100 calories per mile. If your kickboxing class burns 400 calories per hour, then assume your shoes logged approximately 4 miles! Do your shoes feel dead? Sometimes we can feel when our sneakers have lost their spring. After long periods of time, the foam and rubber in a shoe’s base will break down, and you’ll feel the difference. So, if you’ve had your shoes for a year, and they just don’t feel supportive or cushioned anymore, it’s time for a new pair. Sometimes our body knows when it’s time for new shoes. If you’ve had a great experience with a particular pair of trainers and then start to feel nagging pain in your knees, shins, or ankles, that could be your body telling you it’s time for new shoes. As shoes age and break down, feet and joints are less supported and can become injured. Fleet Feet Sports Hoboken keeps track of all purchases! Not sure when you made your last purchase? Come in or give us a call. We can look up your last size, model, and date of purchase. If you’re still looking for the right pair of shoes, we’re always happy to do a gait analysis and find a new pair that fits your needs.